Vancouver Airport Transportation - Shuttles, Bus, Skytrain, Limos, and Taxi. How to use Vancouver Airport Transportation - Skytrain, Public Bus and Taxi to Downtown Vancouver Hotels, Whistler and Victoria, BC. Ground transportation from Vancouver International Airport to downtown hotels, Whistler and Victoria consists of trains, buses, shuttle vans, limos, taxis and cars. Costs are reasonable, and travel times are relatively short. With all these services available we have listed below why and how to use these fast and safe services. The subway from Vancouver Airport to downtown Vancouver is now running! The new monorail-type Skytrain (called the Canada line) connects YVR to downtown Vancouver and Richmond, BC. We think this is the best way to travel from YVR to Downtown Vancouver or Richmond. Skytrain - the YVR Airport Skytrain (above and below ground subway-type train) is the quickest way to get from Vancouver International Airport to downtown Vancouver, fast, convenient, clean and the most important VERY SAFE, with a travel time of only 25 minutes. To see a Map of the route and stops for the YVR Airport Skytrain, click here. Taxi - There are many taxi serving YVR, the cars are no older than seven years and all drivers must speak english. 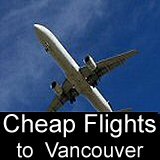 The cost for a cab between Vancouver Airport and the downtown is approximately $35. 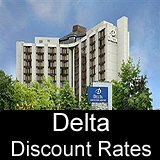 Car Rental - What are the Best Prices for Rental Cars at YVR, this can change on a daily basis so visit the car rental area and ask for the weekly special. If you rent your own vehicle, expect the driving time into the city to be about 30 minutes. Thousands of travellers each year transfer from YVR to Victoria and Nanaimo BC on Vancouver Island and to destinations on the Gulf Islands. Public Transport: For affordable transportation to Victoria BC, as well as Nanaimo and the Gulf islands, the cheapest way to get from YVR to the Tsawwassen ferry port is the Public Transit Skytrain and Bus from YVR Airport to the Ferry Terminal. Shuttle Bus: Costs and schedules change through the year, for more information on costs, schedule and info on the PCL YVR Airport Ferry Shuttle Bus go here. Taxi: Taking a taxi from the airport to the ferry terminal is fast and convenient helping you relax and getting there on time. Visit our section on Taxi service at Vancouver Airport for more information on taking the taxi from YVR Airport to the ferry terminal in Tsawwassen. Public Transit: The most cost effective way to travel is by using public transportation. Vancouver Buses and Skytrain are VERY SAFE and clean to travel in, to get schedule, directions and transfer information for using public transit from Tsawwassen to YVR Airport Bus and Skytrain, click here. You can travel by public transit from YVR to the BC Ferries terminal at Horseshoe Bay, BC for sailings to Nanaimo, the Sunshine Coast, and Bowen Island, BC. Information on the YVR Airport to Horseshoe Bay Bus & Skytrain click here. After you collect your luggage, skis and boots, here's how to hit the slopes! There are several different ways you can travel from YVR Airport to Whistler. We have collected valuable information to help you save time and money on travelling to Whistler. We explain this for you in our YVR Airport to Whistler travel guide. If you're arriving into Vancouver Airport and not traveling to the Downtown area of Vancouver and need to travel by bus to other places in the Greater Vancouver Area including Surrey, North and West Vancouver, Langley, Richmond and Port Coquitlam, see our page on YVR Airport Bus Service to these and other beautiful destinations in the Vancouver Lower Mainland. If YVR is not your final destination and you are travelling to Bellingham Airport or Seattle Airport, then you will need transportation from YVR Airport to Seattle, here's how it can be done by using Quick Shuttle Service. Disclaimer - Please Note: This page is a general guide only - it is NOT part of the official YVR or Translink websites. Skytrain and bus schedules, fares and services are subject to frequent change. 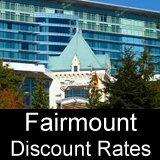 Vancouver Travel Tips.com accepts no responsibility for any loss, injury or inconvenience sustained by anyone resulting from this information. Please consult translink.ca and yvr.ca before starting any travel.